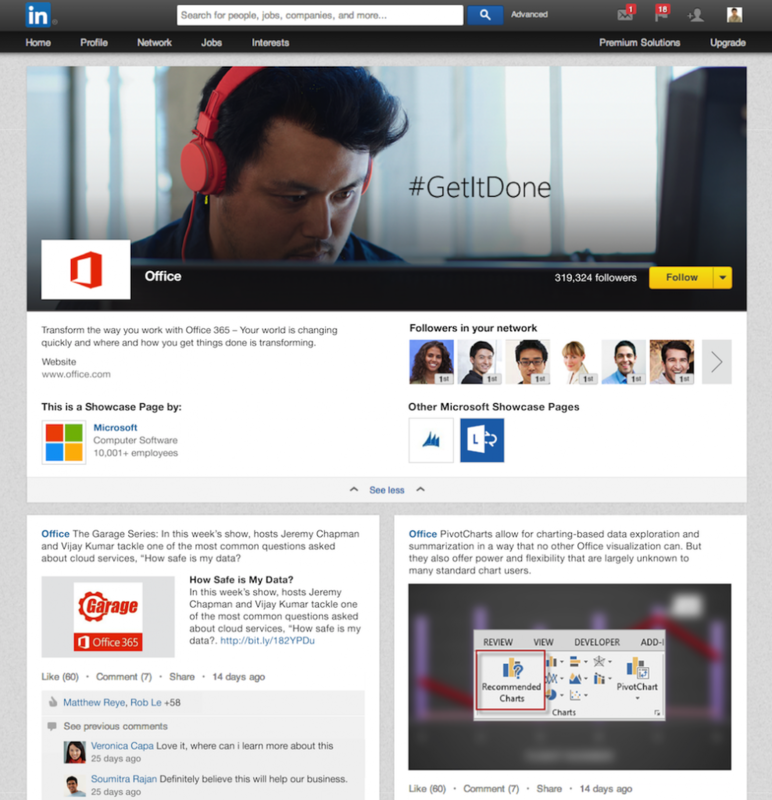 Millions of companies use their LinkedIn Company Pages to share content and opportunities. For our members, the best way to stay up to date with those updates is to follow the companies they’re interested in. However, some companies have a variety of brands and products. How can you tell Cisco you are particularly interested in their Enterprise Network Solutions, Security Products, or in their Internet of Things initiative? Starting today, LinkedIn members will be able to follow the specific brands and products they care most about that have Showcase Pages. Showcase Pages are dedicated pages that allow companies to highlight different aspects of their business and build relationships with the right community. Whether it’s a brand, a business unit, or an initiative, following a Showcase Page will provide you the updates you are most interested in. Interacting with Showcase Pages is easy. These pages are all about content, so by visiting a Showcase Page you can quickly get up to speed on the latest updates. Like any Company Page on LinkedIn, if you want to make sure you see future updates in your feed, just click the “Follow” button. If you’re a Company Page administrator, you can easily create your company's own Showcase Page. First, identify the business areas of your company that need a Showcase Page. Then go to the "Edit" dropdown menu and select "Create a Showcase Page." Once created, you can start sharing content from your page. You will also be able to monitor the performance of your Showcase Page through our analytic tools. Please note that we’ll be rolling out this new product globally in the next few days, so if you don’t see the Showcase Page option right now, please look for it in the coming days. We hope you’ll find these pages useful. To see the kind of content you might get from Showcase Pages, check out Microsoft Office, Adobe Marketing Cloud, and HP Converged Infrastructure. If you’re interested in LinkedIn’s business solutions, follow our Showcase Pages for LinkedIn Talent Solutions, LinkedIn Marketing Solutions, and LinkedIn Sales Solutions.